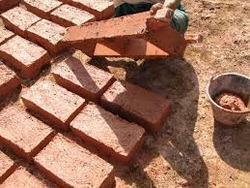 With the support of our industry experts, we are engaged in bringing forward Mud Bricks. The bricks offered by us are manufactured at our high end production unit with the use of basic materials under the guidance of deft team in adherence with set industry norms. Also, our experts meticulously bake these bricks to ensure their strength and durability in constructing the sturdy and robust walls. Easy maintenance and ability to withstand adverse weather conditions are some other striking features of these bricks. Stepped in this domain in the year 2011, Sri Lakshmi Venkateshwara Enterprises has created a well-known position in the market. We are a Sole Proprietorship based entity and has situated our headquarter in Bengaluru, Karnataka (India). We are instrumental in manufacturing a wide assortment of Concrete Brick, Concrete Block, Granite Brick and Building Material. Our offered products are demanded in industries, factories and many more places for construction purposes.